Get your iPhone cameras ready, Starbucks’ new Mango Dragonfruit Refresher is going to be the next ‘gram-worthy drink of the summer, and it’s here to stay. On Tuesday (June 19,) Starbucks added the new summer-ready drink to its permanent menu in the U.S. and Canada. According to a press release from the company, the new drink is filled with “sweet, tropical flavors” and tastes almost as exotic as it sounds. What’s more? The drink is made by handshaking “real red-fleshed dragon fruit” (also known as pitaya,) into the mix, which is the reason for the bright – and completely Instagram-worthy – deep pink color. The best part? The drink is made with no artificial colors or sweeteners, so it’s not only great for those snaps, but it’s also not entirely bad for you either. 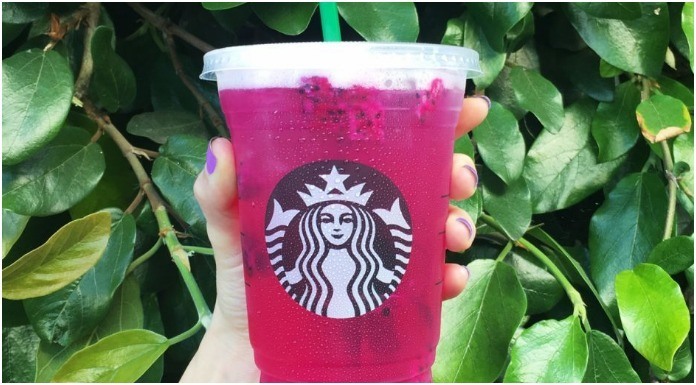 The new ‘gram-worthy drink going to be joining the Strawberry Acai Starbucks Refreshers beverage, Very Berry Hibiscus Starbucks Refreshers beverage, Pink Drink, and Violet Drink as permanent fixtures on the Starbuck’s menu. The drink is available now at participating Starbucks around the U.S. and Canada. What do you think of the new Starbucks drink? Let us know in the comments below!